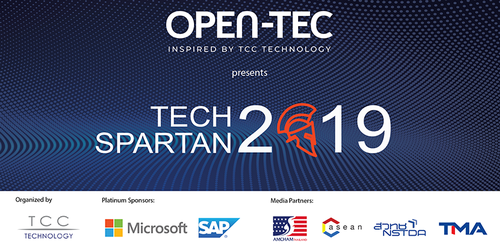 You are invited to join Tech Spartan 2019: Pioneering your Enterprise with AI. 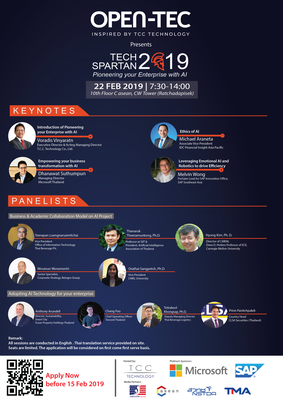 Come hear top executives speak about how their enterprises implement innovative AI technologies and challenge your own understanding of possibilities. 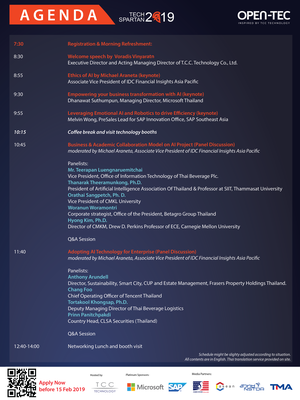 Connect with experts and top executives across various industries including supply chain, finance and banking, technology, education and others. Program content is designed for C-level executives and key decision makers, as well as government or private enterprises developing artificial intelligence projects. Detailed agenda available here. All contents are in English. Thai translation service provided on site.